Love everything about this boot; the fit, the comfort and the style!! It's a warm and comfortable boot!! These boots were the answer to having waterproof boots that weren't just the shiny vinyl rainboots, These look great and feel great. Sizing is perfect. Reviews say they are heavy - I don't think that they are heavy at all for what they are. These were my Christmas present to myself. Very comfy with just enough of a heel to dress up or down. The color is what drew me to buy these shoes. When they arrived I was happy to see that the boots matched the image on the website. I live in New York and even though it is not snowing, the boots are a blessing! They fit wonderful, even though they are on the heavy side. Very cool look to it. Can you wear this in snow? Will it slip? BEST ANSWER: I have worn these boots only in rain but I *would* wear them in snow, too. 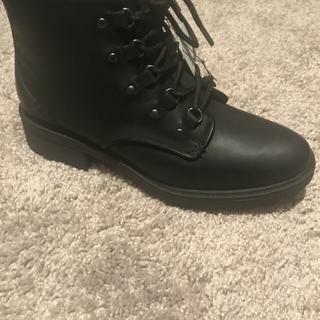 I did slip at little when walking on a wet metal grate on the sidewalk/street but did not wipe out :) The boots are are seriously waterproof; I am very happy with the purchase! Yes you can. I wouldnt say they are the perfect snow boots, but they are waterproof, have a great grip, and fleece on the inside. They are super comfortable but they can be heavy. Nonetheless, I love them! The sole has nice deep treads on it. Won’t slip. But I wouldn’t wear it for adventuring in the snow or hiking. 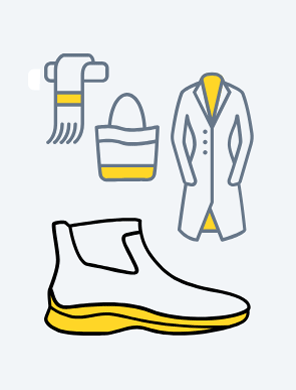 It’s more suitable for stylish winter boots in city living for rain and snow. I love them. You should probably weatherproof the leather but the bottom has good grip so you should be fine and not slip. The salt on the snow may effect the leather though. The bottom is good and makes it hard to slip. I live in NYC and I haven't had an issue walking around in them in the streets or on slippery subway tile. I've used them in snow and you won't slip. They are extremely comfortable!! Best winter shoes I've ever had. Do I need to put shoe protector on it or just wear them as is? BEST ANSWER: The measurement may vary slightly according to size. For example, the shaft height on this style from the heel end of the footbed to the top of the leather in size 6 is 4.5".